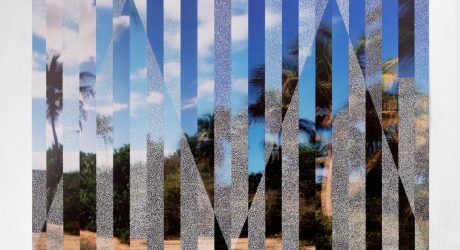 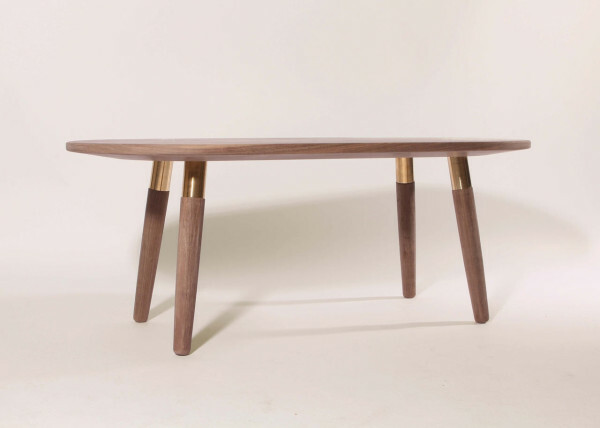 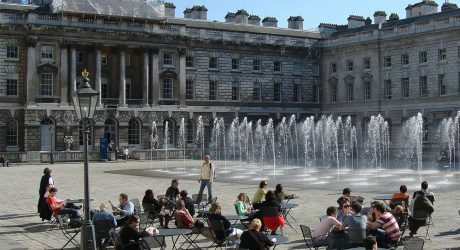 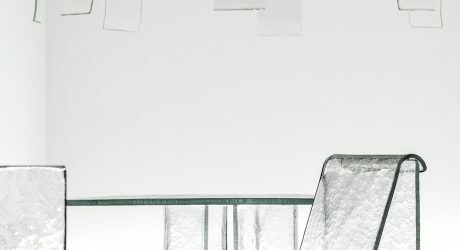 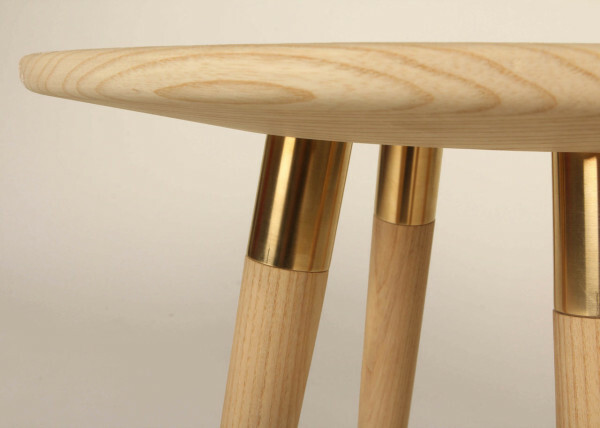 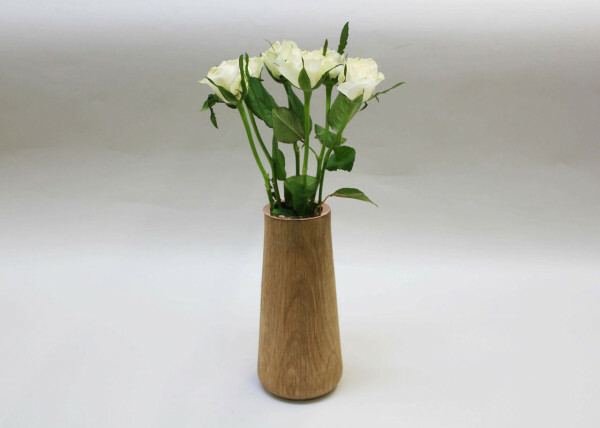 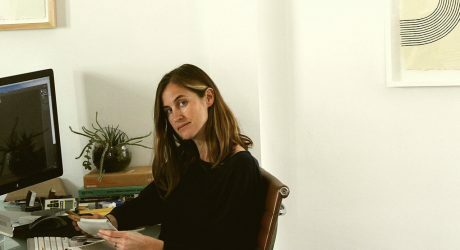 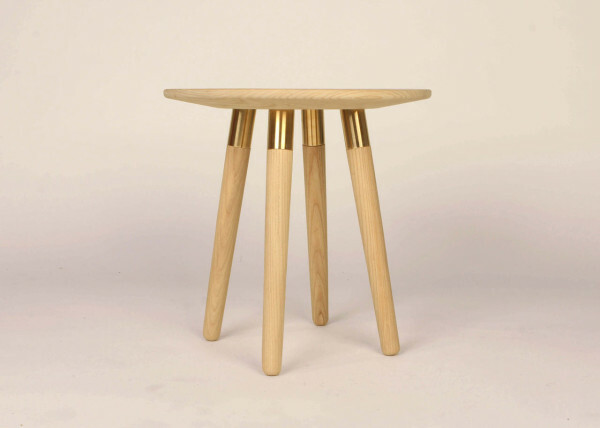 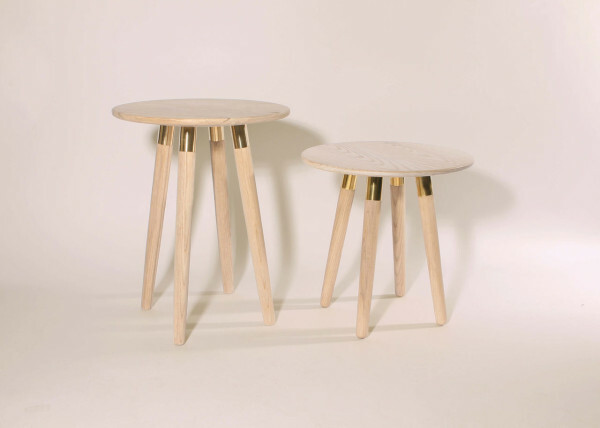 is a recent Northumbria graduate who recently exhibited at New Designers in London. 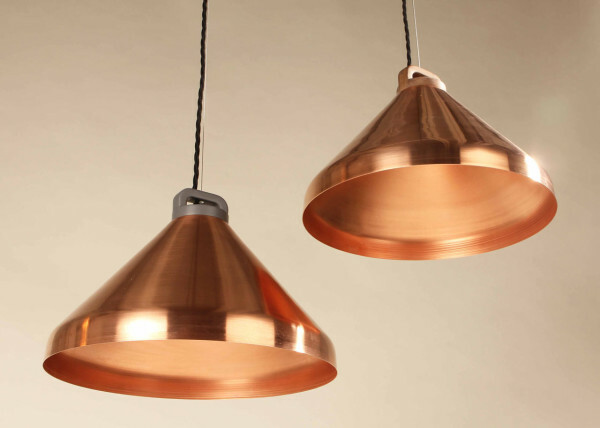 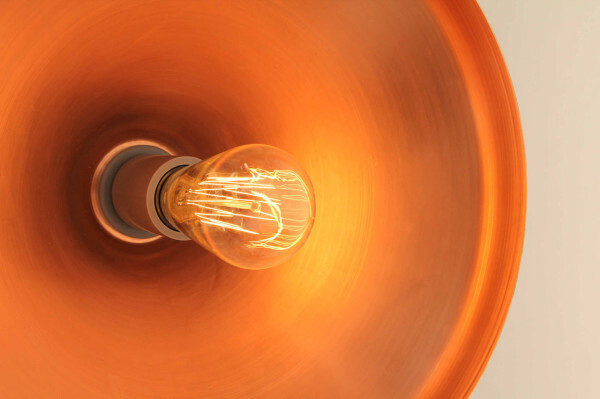 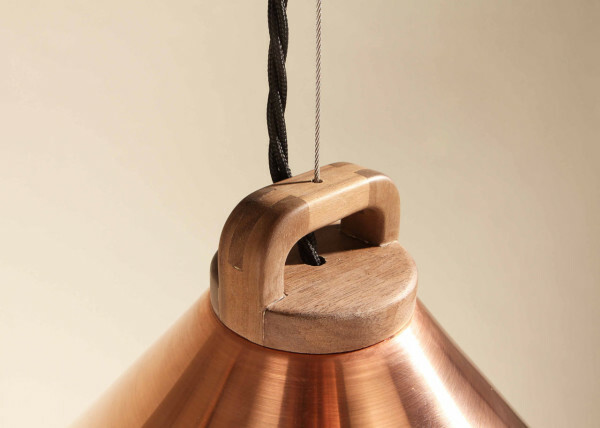 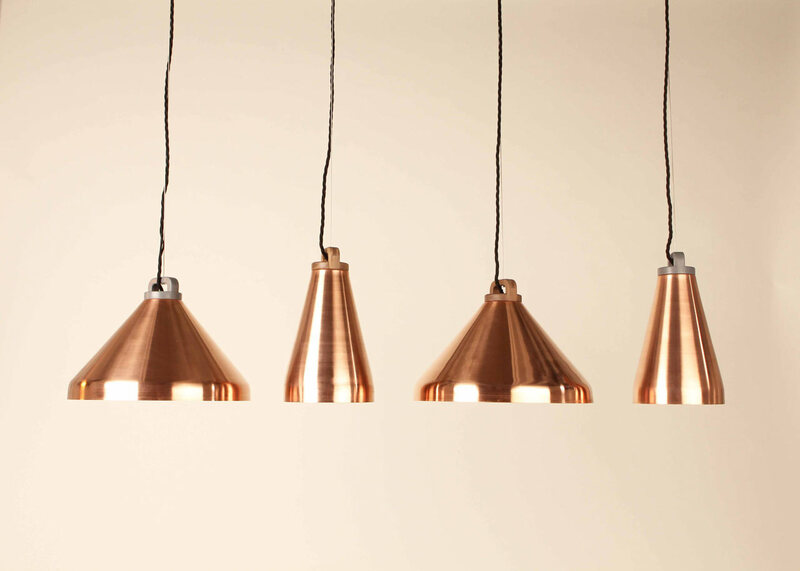 are a collection of copper lights that explore how scale and a common detail can be used to create a product family. 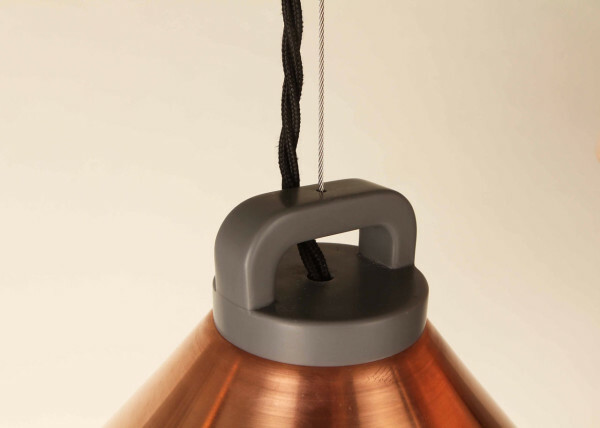 The handles are an unexpected detail, available in either gray Corian or wood. 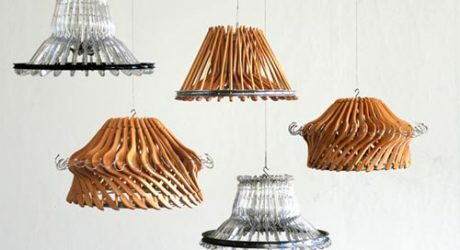 They would look very nice as a cluster. 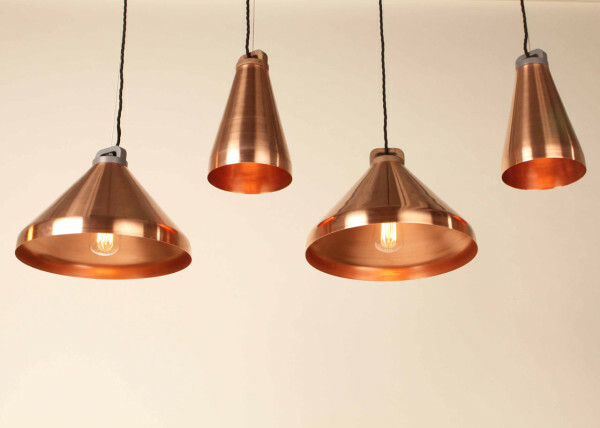 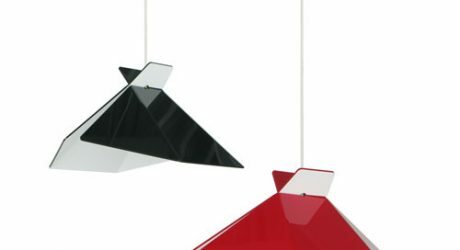 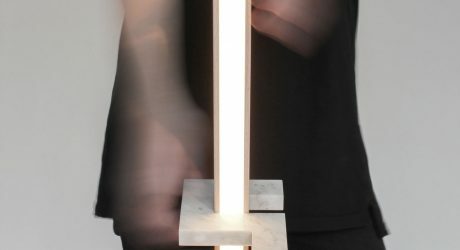 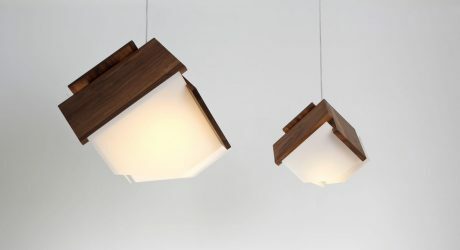 These lights also won the New Designers Foundry Associate Prize awarded by Foundry Lighting. 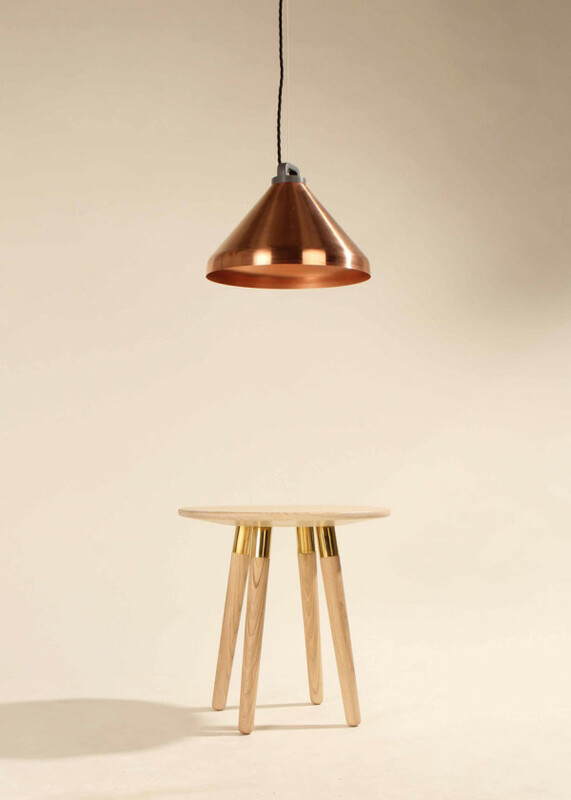 It was also short listed for the Design Council Future Pioneers award. 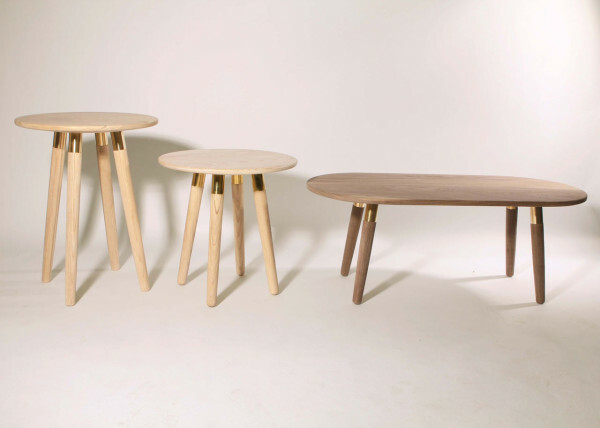 The Also explore scale with their small, minimalist design. 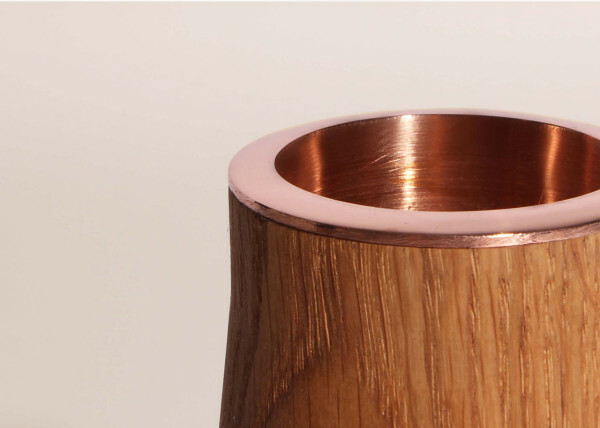 The brass accents are also a nice detail. 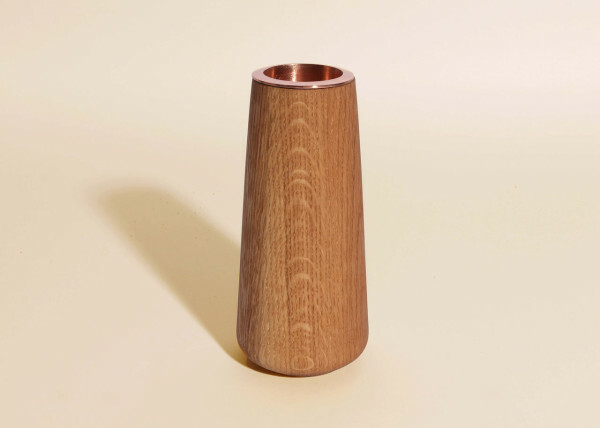 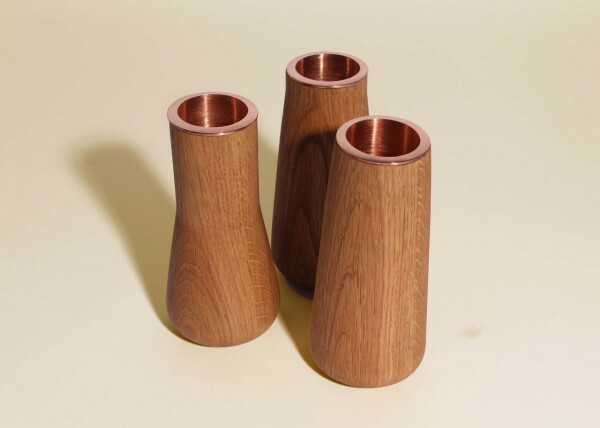 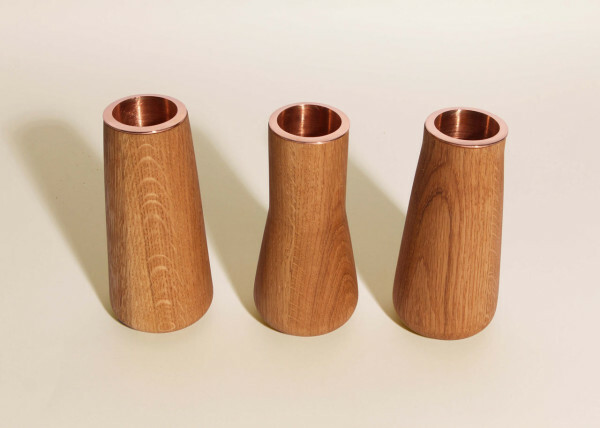 The are made of oak and are lined with a copper sleeve that gives just a hint of glimmer and serves to hold the water. 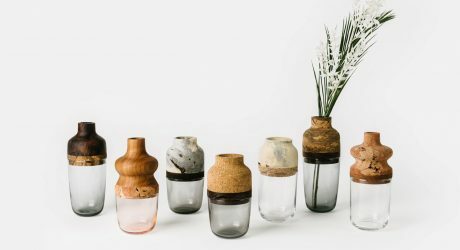 Melanie Abrantes combined off-cuts of cork and hardwood with thrifted glass bottles to become functional pieces of art. 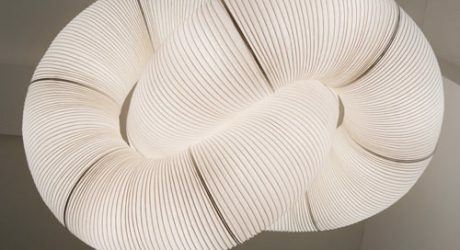 Khodi Feiz, of Feiz Design Studio, walks us through his design process for a basket-inspired pouf collection for the office. 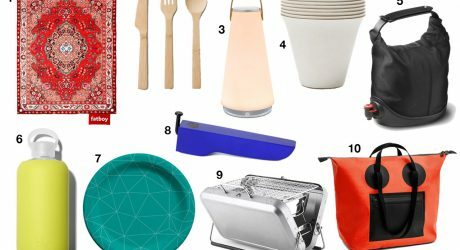 We're big fans of picnics so we scoped out some modern finds that will definitely raise your picnic game up a few notches.